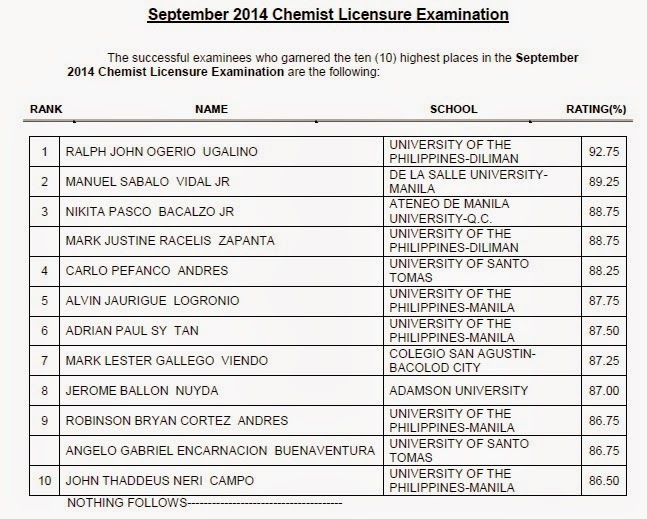 The Professional Regulation Commission (PRC) officially released the list of passers of September 2014 Chemist board exam. Ralph John Ogerio Ugalino of University of the Philippines (UP) - Diliman topped the board with 92.75 percent average grade. Manuel Sabalo Vidal Jr. of De La Salle University Manila placed second with 89.25 percent grade.